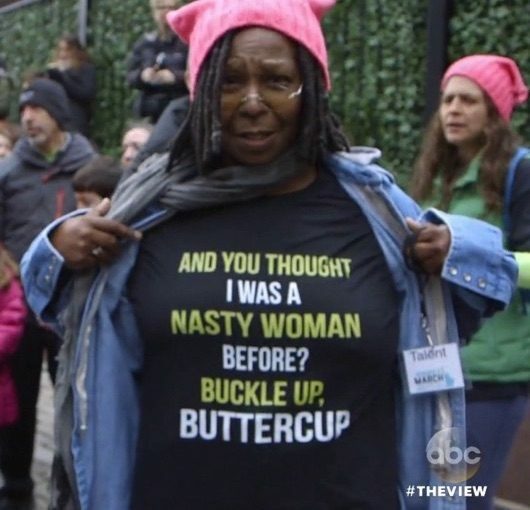 FACT CHECK: Did Whoopi Goldberg Wear a Shirt Depicting Violence Against President Trump? Did Whoopi Goldberg Wear a Violent Anti-Trump Shirt? Doctored images of Goldberg purportedly wearing a shirt depicting violence against the President resurfaced after a controversy involving comedian Kathy Griffin. 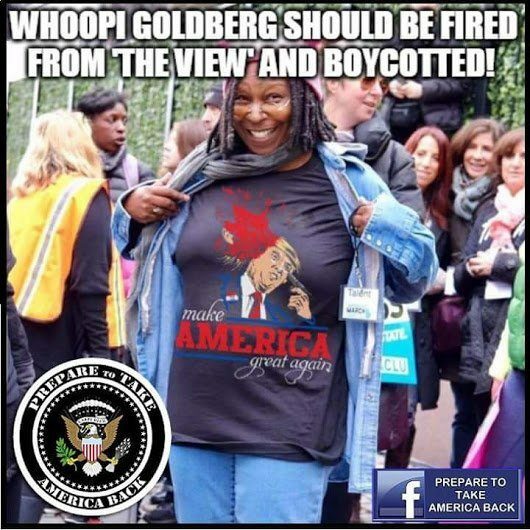 Whoopi Goldberg wore a shirt depicting violence against President Trump. In the April 2017 segment, Goldberg said that despite her opposition to President Trump, she would never wear a shirt like the one in the altered image.